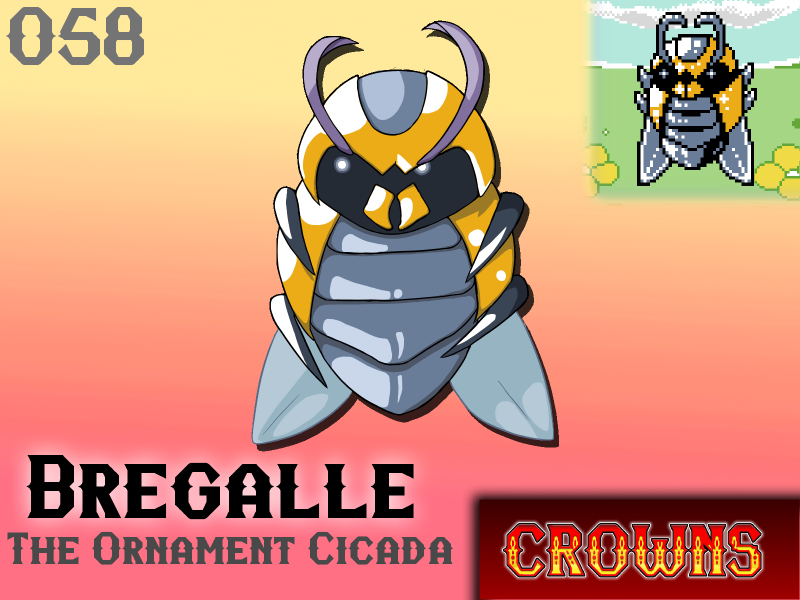 Bregalle is a monster that emulates jewelry and fine metals. It eats primarily berries, but may also graze on smaller insects or birds if it catches them. Its shimmering body draws awestruck admirers - which it may attempt to catch with its small, pointed legs. In nature, Bregalle thrives in dark places with sparse sunlight filtering through. There, it can hide and await prey while using the scattered sunbeams to show off its flawless luster. Will Bregalle make your team?